An earlier-than-normal start to the flu season in New Brunswick may be to blame for the high number of cases recorded so far this year. As of Dec. 29, a total of 579 cases of influenza were confirmed, including 71 hospitalizations and three deaths. By this time last year, 207 cases were confirmed. Dr. Jennifer Russell, the chief medical officer of health, said the active flu season started earlier than usual. "Usually, we start to see the season ramp up the last weeks of December," said Russell. "This year we saw them start to increase in the latter part of November." 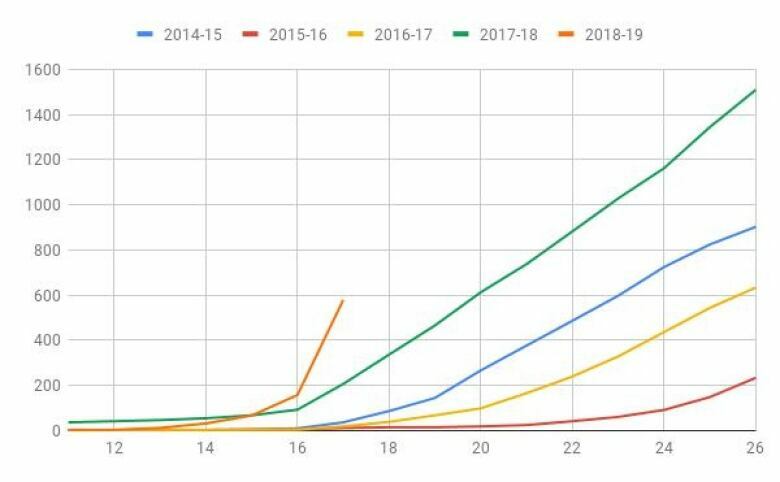 The office tracks numbers for the flu season from the 35th week of one year, generally in late August, to the 34th week of the following year. Just in the past two weeks, the number of New Brunswickers who tested positive for the flu jumped by 421. While a lot of demographic information is still not available Russell said the majority of the 71 people hospitalized with flu had not been immunized. 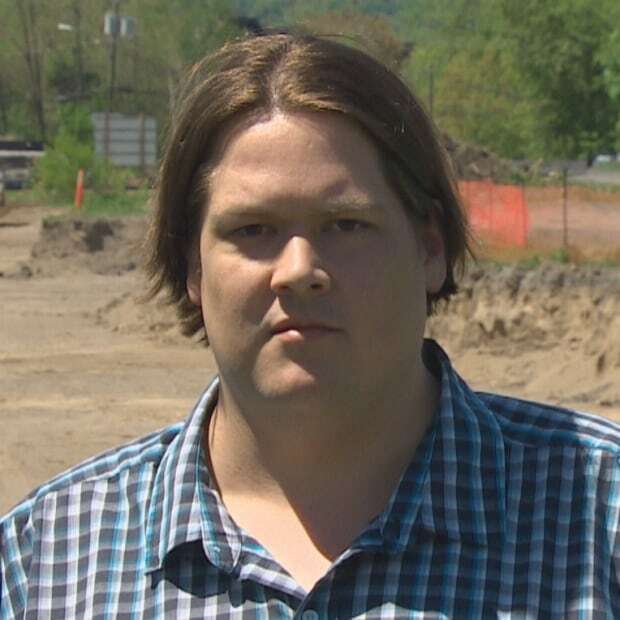 Russell said while the flu is affecting seniors, as is common, it's also affecting younger New Brunswickers. "That's a population that we really want to make sure are getting their flu shots." Children are also being hit by the flu, with 18 per cent of all flu-related hospitalizations involving children under the age of 10. Russell couldn't provide and information about the three people who died because of the flu or say whether they were admitted to hospital. 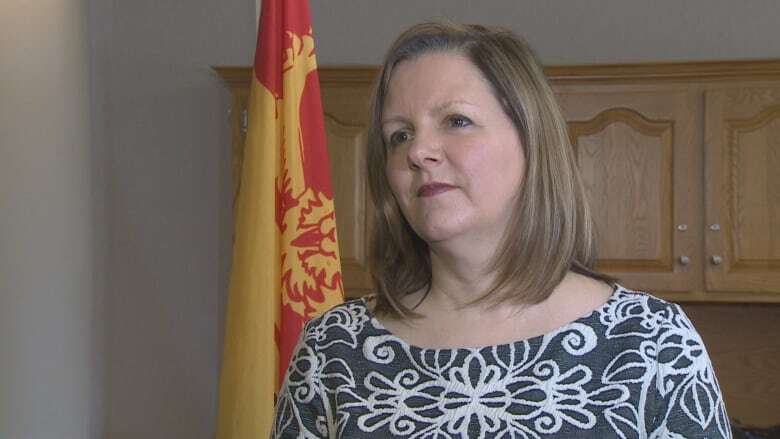 Russell stressed that, unlike last year, this season's vaccine is effective in fighting the most dominant strain of the flu, and she urged New Brunswickers to get the vaccination. In addition to the vaccination, there are other ways to help curb the spread of the virus. "Hand-washing is the best way to avoid getting the flu," Russell said. "Also, if you are ill, you should stay home so you're not exposing other people."